What Posture Type Are You? Most people don’t have perfect posture like the woman in the image above. There are four types of postural alignment that deviate from the ideal. They are known as Kyphosis, Lordosis, Sway Back and Flat Back. The type of posture you have impacts on the way you use the muscles in your body. Take a look at the following images to learn more. It is useful to know your posture type in order to understand which muscles are overworking and those which are underworking. One of the key benefits of Pilates is that it can address these muscle imbalances. An experienced Pilates teacher can show you which exercises will help bring your posture into a more ideal alignment by helping to release tight muscles and strengthen those which are weak. Not sure which type of posture you have? Why not ask Melissa the next time you attend a class. This entry was posted in Uncategorized by Embody Pilates. Bookmark the permalink. 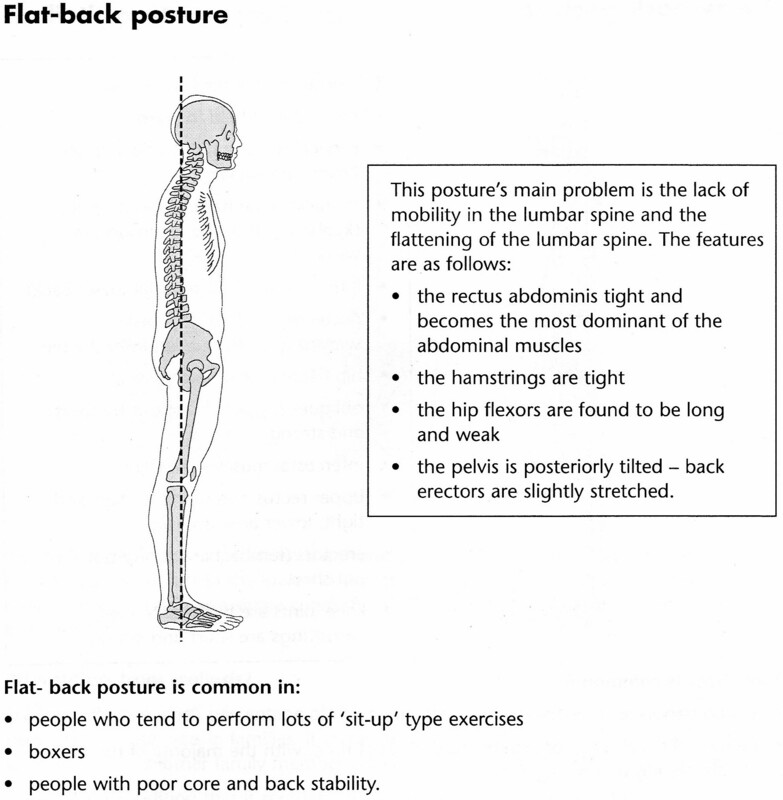 What is the difference between a swayback posture and a flat back posture? Hi Alex. 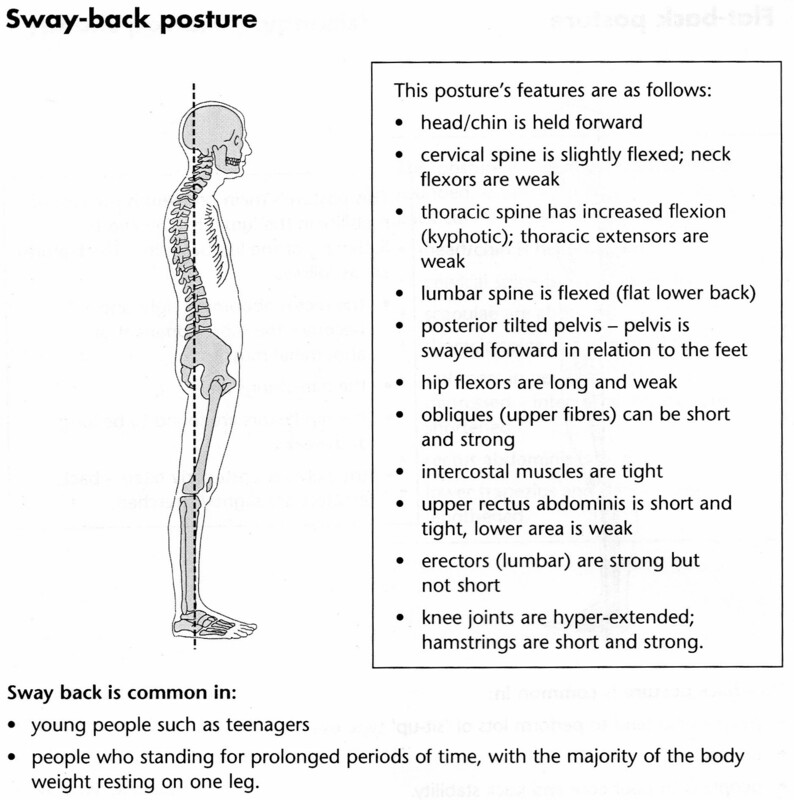 The key difference is the increased flexion in the thoracic spine in the Sway-back posture, i.e. there is a kyphosis. This is caused by weak extensor muscles in the thoracic part of the back. 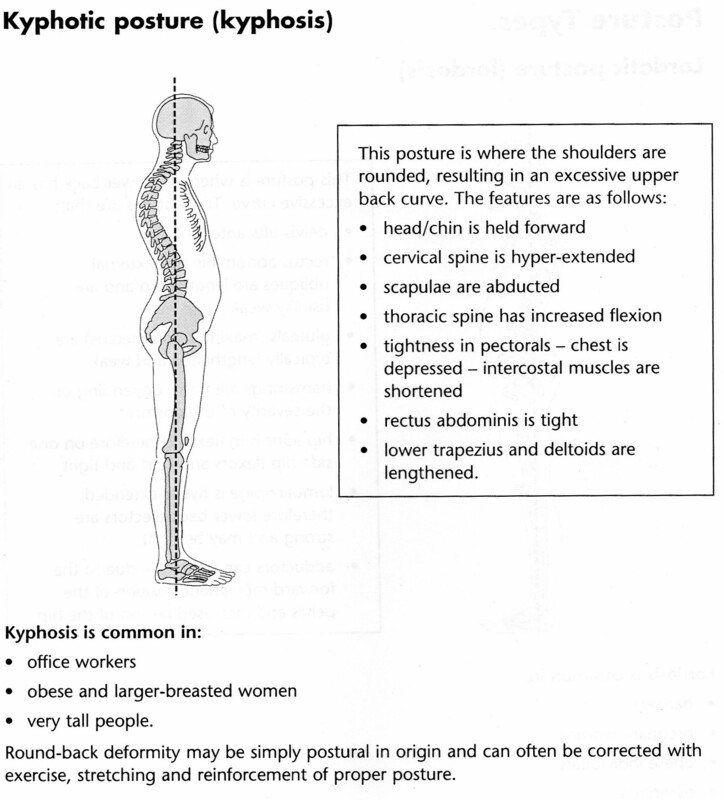 Postural effects means the impact that a certain posture type has on the way we hold the body, i.e. the positions the skeleton is held in and the way the muscles, ligaments and tendons are then forced to work. 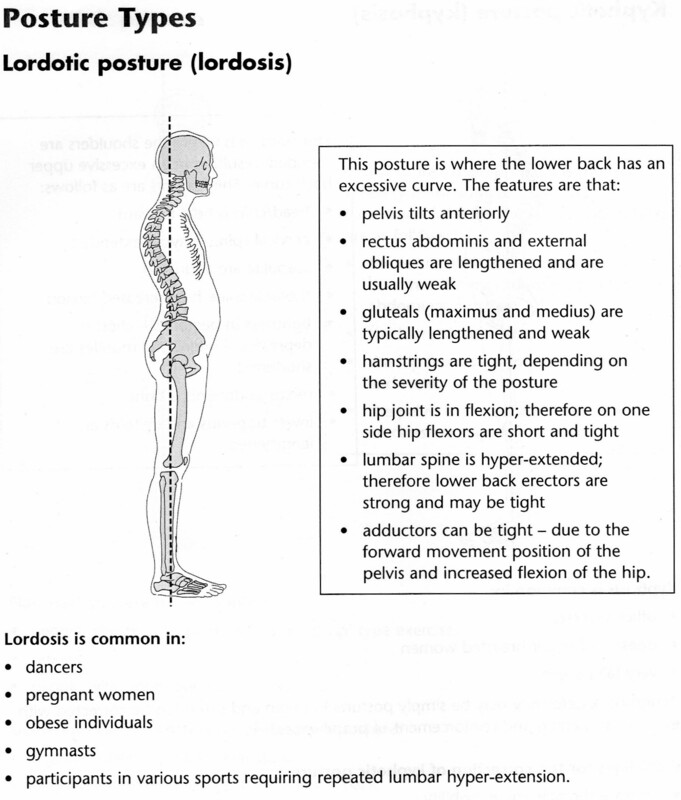 For example, with a lordosis the pelvis tilts forward, meaning the lower back muscles overwork and the abdominal muscles become weak through under-use. Hi Melissa, I was wondering, do you have any exercise suggestions for someone with military posture? Thanks! Hi there. Assuming the person with the military posture has no injuries etc which would affect their Pilates practice, the lumbar stretch would stretch the tight muscles in the lower back, the ab curl would help to strengthen the weak abdominals and the chalk circle would address the tight upper traps. Thanks for taking the time to reply Melissa, that was really helpful! I have an ancient Pilates manual suggesting Roll Ups and Stomach Massage and that was about it!